Many people talk about the importance of time management. That’s of little use. What matters is that you are action oriented and focused on execution. The best laid plans, the most powerful information, the greatest advice – all would be worthless unless backed by focussed, progressive, goal-directed action. Become known as someone who is action-oriented, who does things, who makes stuff happen. Once you make the transition from ‘planner’ to ‘do-er’, you’ll be amazed to see how your level of effectiveness, influence and networking grows. Successful people don’t like to waste time. They understand the importance of time management. Associating with negative, ponderous, slow-moving folks often counts as wasting time. When you make the shift from ‘talking about plans’ towards ‘doing things’, you’ll notice more successful folks gravitating towards you, offering advice, help, support. That’s because YOU are now recognized as someone who understands and appreciates the importance of time management! For many years, I planned the details of a non-profit project. Thought about various scenarios. Budgeted for different situations. Dreamed out elaborate programs. And did practically nothing. The reason is because I was caught up in analysis-paralysis. Not realizing the importance of time, I kept dilly-dallying until everything was ‘perfect’. But until I took the first step, nothing happened. Today, 9 years later, I’m well on the way towards my goals for the non-profit work – but it couldn’t have happened without that first, inspired, faith-driven action step! That’s the really important element of time management. Not efficiency alone. 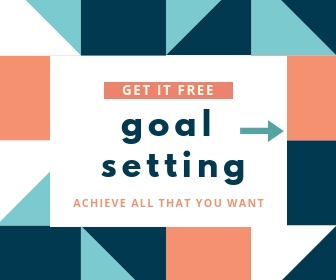 Not goal setting alone. Not prioritizing alone. All those are necessary, even critical. But without that essential step of being able to take concrete action towards your goals, everything else becomes irrelevant. 1. Avoid emails in the morning. Nothing is more wasteful of your productive time and destructive to the tone and theme of your work day than indulging in email early in the morning. Set aside time to deal with correspondence, but make sure it’s after the time you assign for your important tasks. 2. Avoid blogging and forums. Unless you are a professional blogger or coach clients through a forum, these activities should come low down on your priority list for daily tasks. The reason is simple. Chatting, publishing a random thought stream or arguing/debating a point isn’t the best use of your time. That’s what happens when you hang out on forums or keep blog hopping. 3. Have a day-plan – and make it the night before. That helps set the tone for your day and makes sure that you get started on your work first thing in the morning, without any wasteful delays spent wondering what you should work on and when. 4. Stick to your plan even when you are tempted to deviate. This is the hardest thing for procrastinators to do, but everyone who understands the importance of time management knows it is vital to success. In fact, that’s the reason you even draw up a plan in the first place. Having done that, deviating from the plan is sheer madness, don’t you agree? 5. Move your office out of the house. 6. Evaluate your work effectiveness by paying yourself per hour. Many successful entrepreneurs who understand the value of their time and know how important it is to follow good time management principles will set a dollar value on their time. It helps prioritize tasks and turn down distractions that are of lesser value than their time merits. By incorporating these important time management principles into your daily routine, you’ll find yourself easily boosting your effectiveness and becoming more productive. To learn more time managing secrets, be sure to sign up to the “Time Taozine” below and check out the line of Ming Vase Time Management guides. I waste time. We all do. Back when I was in school, I wasted time reading tons of storybooks, watching entire cricket test matches, and mindless TV shows. In college, I wasted time on friends who’d turn up late (or were ‘no shows’), or for long queues to move, or dull and boring lectures to end. Later, as an Assistant Professor, I wasted time in administrators’ waiting rooms, or complying with a 8-to-2 routine – even when there was no work to do. As a professional, I wasted time because surgeries got cancelled or postponed, patients showed up late for appointments, or traffic slowed to a crawl. These days, I waste time playing chess online, watching movies, or reading blogs. Looking back, here’s the difference. For most of my life, I’ve wasted time because of other people – or things they wanted or expected me to do. When I was much younger (and now, when I’m much wiser), I only waste time doing what I want to. In countless conversations with hundreds of people, I’ve revisited the theme of what you’d do with an unlimited supply of money. And people let their imagination run wild. Or, at least, they think they do. Oh, sure, those frivolous or idle dreams might be – like, “I want to buy a Ferrari” or “I want to own a movie theater so I can watch films in it all by myself” or “I’ll get rid of poverty, and then tackle world peace”. The more serious ones, which are really goals in life behind which you’ve already put some energy, thought and passion, and think you only need more financing to reach, are actually quite affordable. Want to save lives? Start today. Save one. Want to retire on the beach? Forget later. Drive to the seashore now. Want to mentor youth? Teach one. Then another. Success scales. So get going. That’s the hardest part. Don’t wait until you’re “rich enough” to start. Boldness has genius, power, and magic in it!”. Muffin, our Lhasa-Apso/Terrier half-breed, is the sweetest natured puppy I’ve ever known. Not only am I blessed with her affection, I’ve gained many precious lessons learned in life from watching her grow up. Such as how to seize life’s many opportunities. There are a few things Muffin loves more than anything else. Riding in a car. Playing on the terrace. Wandering around the garden. She has learned to associate certain key words and phrases with these opportunities. When she hears them, a remarkable transformation comes over her. She might be deep in slumber, happily at play, or sitting morosely on her couch chewing on an old toothbrush, but when the magic words are uttered, she’ll change dramatically. A quiver runs through her little body. Her tail begins wagging furiously. She’ll jump up and race you to the door, and stand leaping at the latch, scratching eagerly at the barrier, ready to streak out the moment you open it for her. She never seems to grow tired of it. In her universe, opportunities to have fun abound. And she’s raring to seize each of them, never missing her chance. Even when she knows we’re teasing her, she’ll react the same way. Her enthusiastic antics only cease when she’s convinced beyond doubt that we’re only kidding, and that she isn’t really missing a potential opportunity. In fact, there are times when her sheer excitement has prompted me to carry her upstairs for a game on the terrace, or even put her in the car and back up to the gate and come back. Yes, she creates her own opportunities – through pure energy. What’s even more amazing is that these mini-adventures, which might only last a couple of minutes, are just as fulfilling and satisfying to the little canine as a fuller one. How many opportunities are we missing out on because we’ve grown tired, jaded and bored. How much more deeply will we experience and enjoy life by being as curious, excited and passionate about every little opportunity we get… as this little puppy does. Then, I thanked Muffin – and wrote this to share with you! I was distracted this morning by loud voices downstairs, and my niece’s wailing. It’s a near-daily event, culminating with the mad rush out the door for school. We chat. We read. We check out Facebook or the online news. Joke. Share the dreams we had (funny, scary, or both!) Discuss plans for our day. Or other stuff. What’s missing, generally, is haste, hurry or hustle. The frenzy of frustration, however, is a flashback to my own school days. If I was a few minutes late, I’d have to wait with other stragglers at the gate. Be sternly rebuked by the headmaster. Have an entry made in my diary. And often, I had to run 400 meters around the school ground in my heavy black leather boots. To this day, though I’m reasonably punctual, I resent being forced to hurry anywhere to meet a schedule. And I still don’t own a pair of black leather shoes! Looking back, all I can remember from those days is the gut-wrenching, nail-biting worry about whether or not I’d beat the bell. Is it worth that mad rush – just to be “on time” for school or college or work? Isn’t it sad when all that you can remember of 2,500 mornings of school is the rush to be “on time”? If this is your life today, pause for a moment. As you live today, you’re creating memories for all your tomorrows.